The final international conference of the Spanish LIFE project, The Green Deserts (LIFE09 ENV/ES/447), will be held at the University of Valladolid on 17-18 June 2015. The event is being organised alongside the UN’s World Day to Combat Desertification and Drought. Please click for the conference programme. 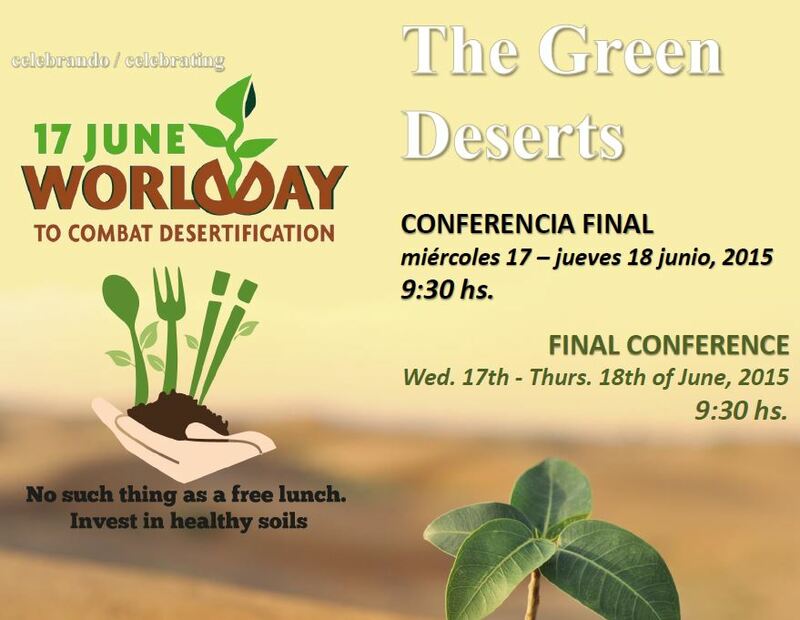 The first day of the conference will cover three themes: The Green Deserts project, the World Day to Combat Desertification and cooperation among projects. The UN established the World Day to raise public awareness of the issue of desertification and to promote implementation of the United Nations Convention to Combat Desertification (UNCCD) in those countries experiencing serious drought and desertification. Isabel Garcia Tejerina, the Spanish Minister for Agriculture and Environment, will be among the high-level government officials in attendance. The second day of the two-day conference will feature a visit to the tree-planting field trials in Soto and Matallana that were carried out by the LIFE project. Climate change has led to the desertification of many agricultural areas that previously functioned as important stores of carbon. However, planting trees can help overcome this damaging environmental impact, and The Green Deserts project was launched in 2009 to demonstrate the feasibility and effectiveness of new tree planting techniques in desertified and rocky areas. One of these techniques involves the use of innovative ‘waterboxxes’, which are used to restore the sponge function of degraded soils and to reinforce the soils’ capacity for supporting plant life. Waterboxxes were tested to assess their suitability as a means of capturing rain and condensation for use in growing autochthonous trees in desertified areas or areas prone to desertification. To register for the conference, please contact us. Participation is free but spaces are limited.